HJF’s initial presentation to the fifth grade class at the Dorothy I. 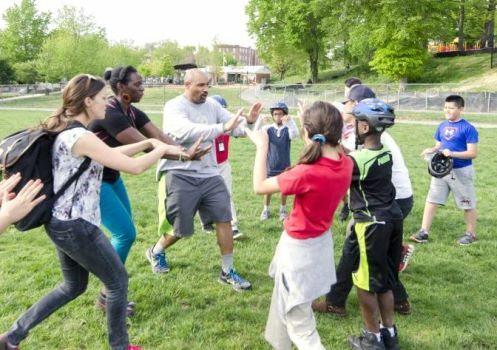 Height Elementary School in the Petworth neighborhood, gave students a chance to meet our staff, and raised awareness of the benefits of bike riding. Although few owned bikes, and some had never even ridden, a whole new world opened before them, even the opportunity to own a bike. 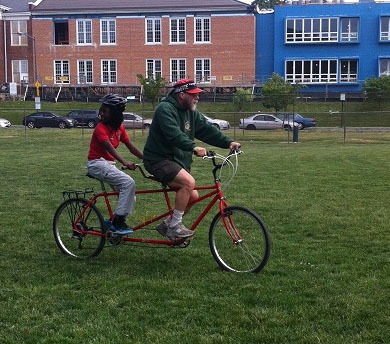 Kids and teachers were enthusiastic, and the After School Bike Club was born! HJF volunteer mentors meet weekly with fifth grade students. 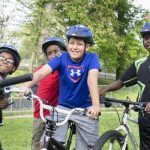 Students gain confidence and overcome their fear of riding with the encouragement of their mentors, teacher and classmates. At the end of the program, each student will get their own bike, helmet and lock to keep. Well I can tell you, you can do a lot! 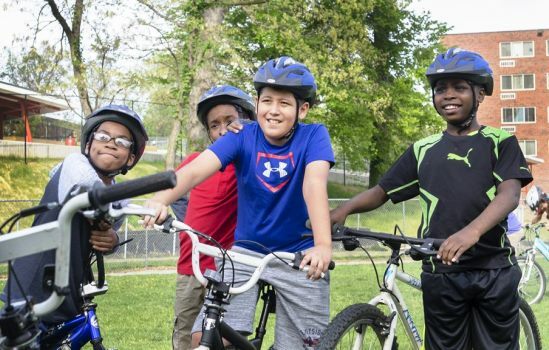 With your help, HJF can expand the EARN A BIKE program and get more kids on bikes. 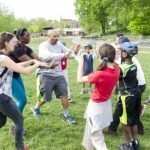 Join Team HJF!